The 2018 Kiddies Carnival/Children’s Carnival Frolic (CCF) was originally scheduled for Saturday, 4 August, and then moved to Saturday 11 August. It is now rescheduled to Carnival Monday. The original decision to change the date was a result of the excessive rain last week Wednesday which caused major flooding at the National Stadium. The postponement was announced following a tour and inspection of the stadium facility by Culture Minister Norland Cox, the Permanent Secretary in the Ministry of Culture; the Chief Cultural Office, officials from the National Disaster Management Agency (NaDMA), the Royal Grenada Police Force and officials from the Ministry of Health. 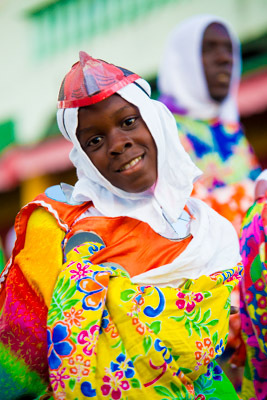 On Monday, Kirk Seetahal, CEO of the Spicemas Corporation (SMC) announced that Kiddies Carnival will move from Saturday, 11 August to Monday, 13 August and will be a marriage of pageant and the CCF. “After consultation with the board of directors and the stakeholders, we found Carnival Saturday not the right day to accommodate all of it,” Seetahal said. He explained that the Soca Monarch show scheduled for Friday night ends early in the morning of Saturday and there would not be enough time to sanitise and clean the facility for a 9 am start. Another adjustment to this year’s CCF will be the Junior Panorama Competition which is scheduled to start at 1 pm on Saturday 11 August, and move straight into the senior competition. Thursday night the Queen Show will be at Spice Basket. Seven young ladies will be vying for the title of Miss Grenada. On Friday night a combination of almost 30 artistes will perform in both the Soca and Groovy finals competitions. The final for the calypso show and the staging of the king and queens of the bands competition will be on Sunday. On Monday morning, J’ouvert will be followed by Pageant and CCF. On Tuesday the carnival closes off with the parade of bands on the streets. Besides the national events, there will be private events at various venues across Grenada, as well as street jump-up in the parishes of St John, St David, St Patrick and St Andrew.